Just like us, dogs need decent nutrition to keep as happy and healthy as possible. The nutritional requirements of a dog vary according to size, breed, and age. If you’re about to bring a dog home, you may think that feeding it is pretty simple. However, there are various guidelines you need to follow to make sure your dog’s getting everything they need. Here’s some information you may find helpful. Portion sizes and frequency are very important to think about when it comes to a dog’s nutrition, and their needs vary with time. 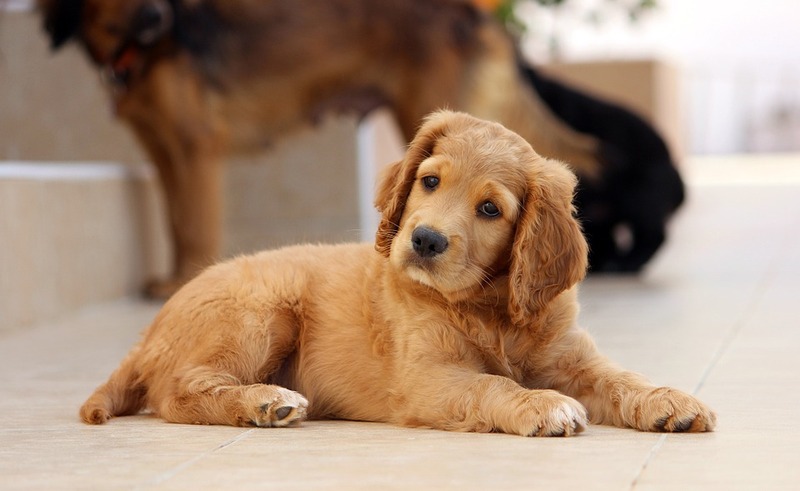 Most puppies up to six months old should be eating three to four times a day. From six months onwards, you can generally take this down to two meals a day. While small and medium sized dogs can make the transition from puppy to adult food fairly early in life, larger ones may need to stick to a puppy diet slightly longer. Remember that these are only guidelines, and the best way to figure out the best diet for your dog is asking your vet during a check-up. The most common issue when it comes to feeding portions and frequency is overfeeding, so when in doubt, go for smaller, less frequent meals. Can a Dog Be Vegetarian? This is a question that a lot of new owners have to address sooner or later. The short answer is yes, they can, but it can be hard to manage. If you want your dog to be a veggie because you don’t like the idea of the additives and processing that goes into pet food production, there are many organic alternatives and natural treats for dogs on the market. They’ll cost a little more, but you’ll have that much more assurance about the state of your dog’s nutrition. If you want to keep your dog vegetarian for some other reason, you’ve got a lot of work ahead of you! Not all vegetables are safe for dogs, for starters. Like us, they need to be getting a decent amount of protein, from sources other than meat, to be a healthy veggie. Start doing your research and meal planning as soon as possible, and make sure you understand the work that goes into owning a healthy, vegetarian dog, before committing to it. A lot of owners throw scraps of meat from their own plates to their dogs at meal times. While there are many traditionally human foods that you can give your dog with no ill effects, you need to be very careful. Anything with chocolate, fat-heavy foods, chicken bones, salty foods, and rare steak, can be bad for a dog. Having said that, there are some foods that can be bad for some dogs, yet fine for others. This depends largely on their usual diet, their size, and their genetic makeup. A full-grown Labrador can eat chocolate, and while it won’t be good for them, the effects will be fairly benign. A Chihuahua, on the other hand, can get extremely ill.
We all know that most dogs can get themselves into mischief pretty easily. 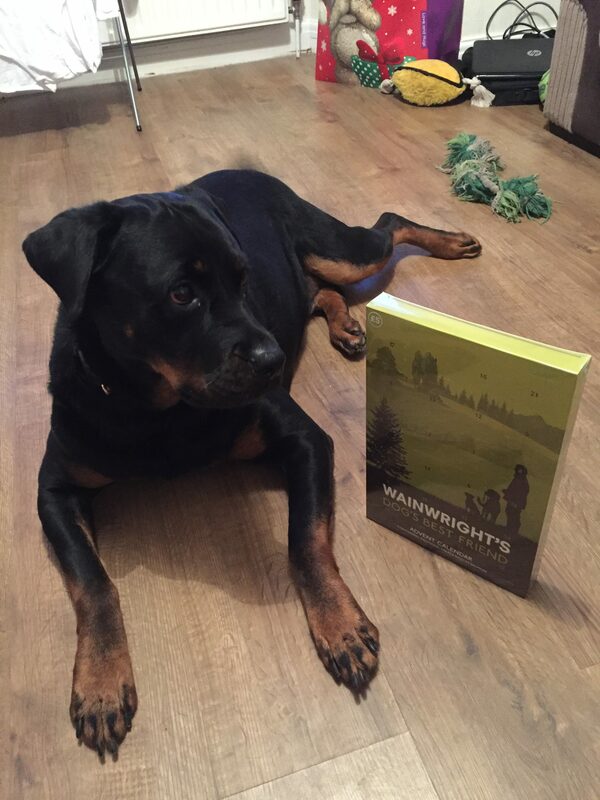 Whether this is chewing up your new shoes, bounding to jump at you with muddy paws or rushing to wrench a newspaper away from the delivery boy, there are a few behaviours that we wish our dogs wouldn’t do quite so often. Getting your dogs to behave better is all about controlling their impulses, which sounds like an extremely difficult task, but it can actually be easier than you think. So, let’s have a look at a few ways that you can manage your dog’s impulses and help them to stay calm in all situations. The first step that you need to take is to actually identify what your dog wants which is causing their impulses to get the better of them. It could be a sudden urge to go outside, a rush to get their food or them bounding off to interact with another dog. Once you have worked out this initial trigger, you will be in a much stronger position to be able to control this urge. A system of rewarding your dog when it behaves in a better and calmer way will help to reinforce this positive behaviour. For example, a huge number of dogs get overexcited when you first pick up the leash and will start bouncing up and down uncontrollably. Even the most energetic of dogs can’t do this forever, so stand and wait for them to calm down. Only then should you put the leash on. Over time, your dog should start to sit more calmly sooner. 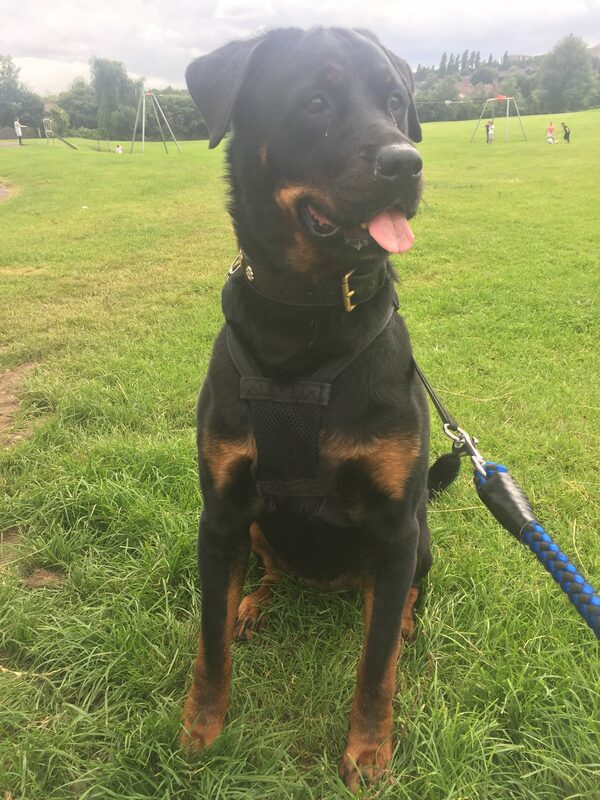 Most people use treats to reinforce the positive behaviour of their dogs, but you can also learn more about dog training collars. 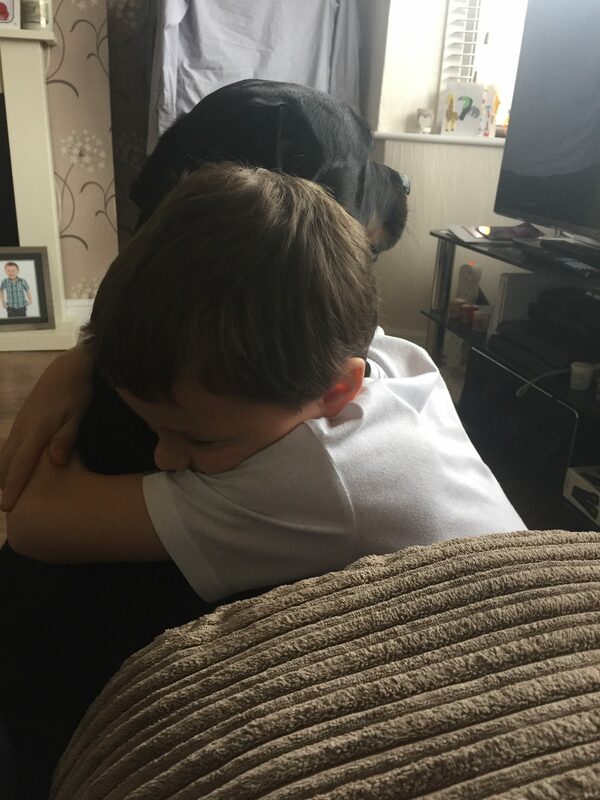 Dogs don’t tend to sustain bad behaviour for a long period of time, so it is a case of being patient until your dog calms down. Only then should you reinforce the good behaviour with your chosen method. As your dog become accustomed to what behaviour is acceptable and what isn’t, it should start displaying this on a more regular basis. It is important that you maintain consistency in your approach to dog training. 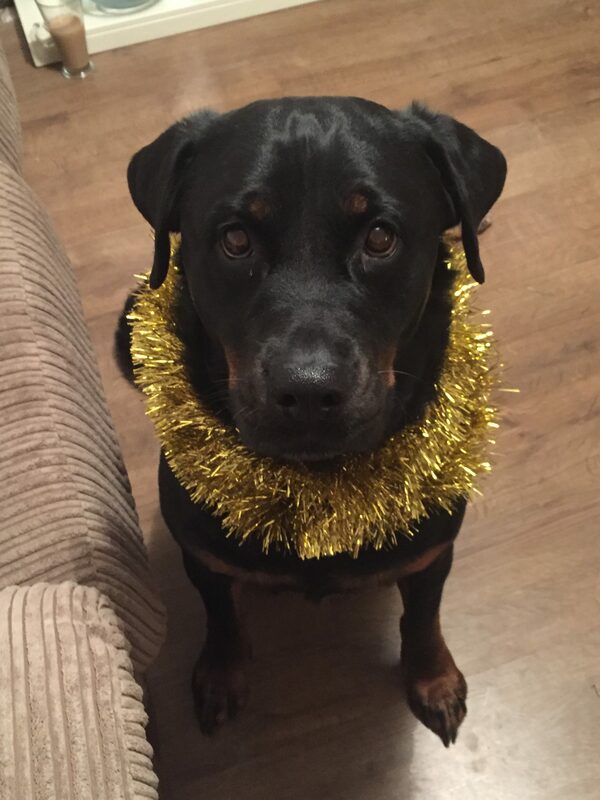 If you allow a certain behaviour one day, but then decide that it is not okay the next, your dog will become confused and will not know what is expected of them. Once you begin working on a specific type of behaviour, make sure to follow this through until the dog has fully learnt it. There are a range of opportunities throughout the day to teach your dog calmer behaviour. For example, when you get home after a long day, wait for your dog to have all four paws on the ground before you start showing them affection. When your dog is about to eat their meal, teach the dog to sit and wait for your cue. Dogs are pack animals, so they need to be around other dogs and humans regularly to feel happy. Not only is it great for keeping them cheerful, but it’s essential to their health. Their immune systems get a little boost, they are far less likely to suffer from anxiety, and they get better quality exercise when they can run and play with other pups, making obesity far less of a concern. 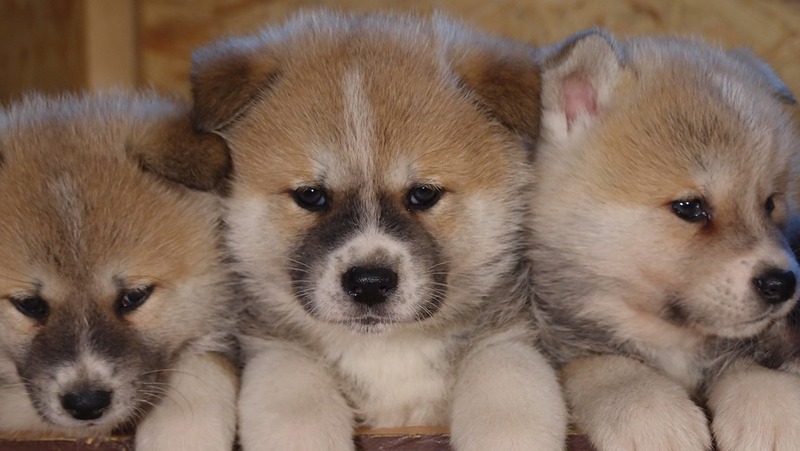 Socialisation should start at a young age to get the best effects – that’s why pups shouldn’t be taken away from their mamas before at least eight weeks. Here are a few things to bear in mind when socialising your pup. You should start socialising your dog while they’re still young, but there are risks associated with this. For example, they might not have finished their full course of vaccinations, so they could be at risk of parvovirus when they come into contact with other dogs. Ensure you’re only introducing them to dogs you’re acquainted with, and whose owners your trust. Keep them off grass and mud as this can also transfer their disease. Obviously, whenever your dog comes into contact with other dogs, they’re at risk of catching fleas. There are plenty of pest deterrents on the market, so be sure to check out some flea and tick reviews to find one which will work for your pup. Keeping them protected from bugs and pests is essential, especially while they’re still young – they can cause great discomfort and irritation, and even pass on illnesses, so it’s better to be safe than sorry. 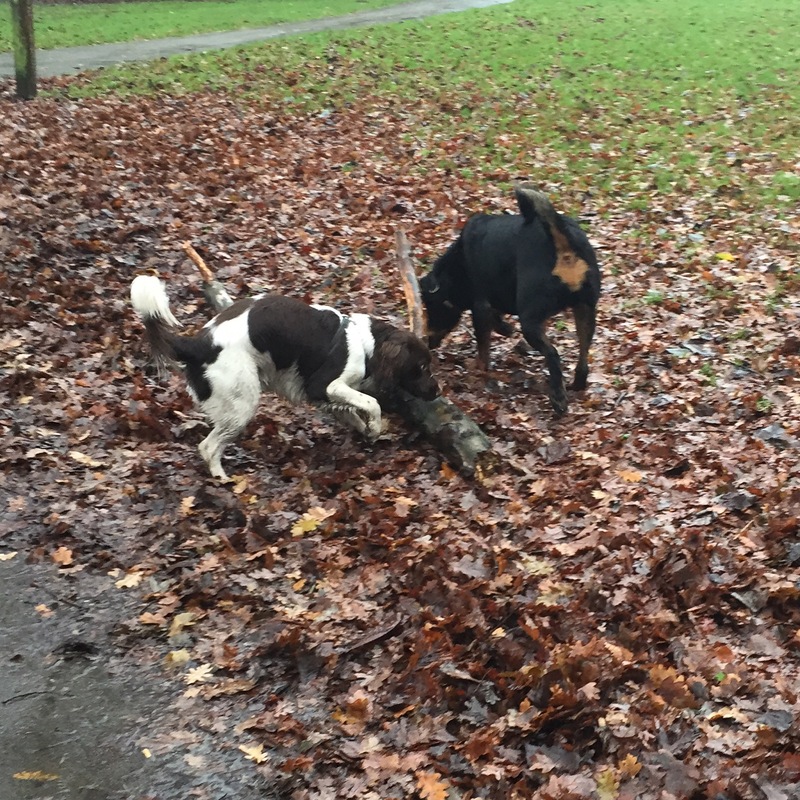 As dogs are being socialised, they’re being put in situations which might be a little bit outside of their comfort zone. For this reason, they could act erratically as they get scared or uncomfortable, in which case it could be necessary for you to intervene for the safety of your dog and the other dogs or people around. Your dog should never be left unsupervised in new situations with new people or other animals, especially while they’re young. From between the ages of three weeks and 12 weeks old, your dog gets most of its life lessons. For this reason, it’s crucial that they experience as many new things as they can in this time, as anything omitted could cause them serious anxiety after this age. Be sure to introduce them to people of all nationalities, races, ages and cultures – this is a surefire way to ensure they act appropriately around all people. Different locations and situations also matter – from busy roads to woodlands, cow fields to beaches. Even once your pup gets older, their socialisation needs to be maintained. A dog which is well socialised up to 12 weeks old, which then becomes isolated, can go back to being a fearful and anxious dog. These dogs can be erratic, and a fearful dog tends to be an aggressive and unhappy dog. 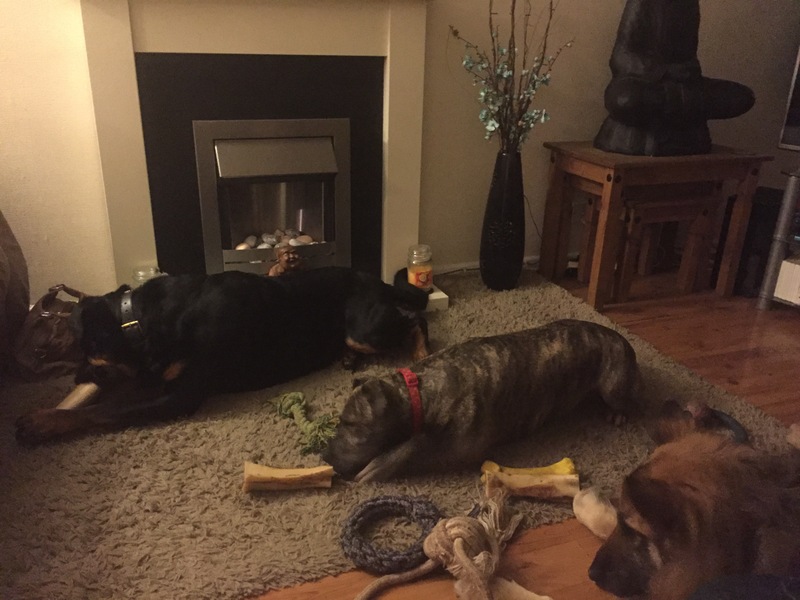 Keeping them socialised is the key to their happiness, and one of the main responsibilities of a dog owner. We usually see January as a bit of a fresh start as the slate’s wiped clean from last year, and it gives us a chance to examine our lives. However, while you’re deciding whether you need to eat healthier, get more exercise or prioritize your home life over your workload don’t forget your pets. Improving your dog’s life should be just as important as focusing on your own goals, as a happy, healthy dog and a happy, healthy human can often benefit from the same things. Daily walks should be a key element of every dog’s life no matter how big or small they are. Regular walks stimulate them mentally and physically, keeps them fit and active and also lets your dog breathe plenty of fresh air after being in the house all day. Depending on the breed you’ll be walking your dog at least once a day if not more, so it’s important that both you and they stick to a workable schedule. 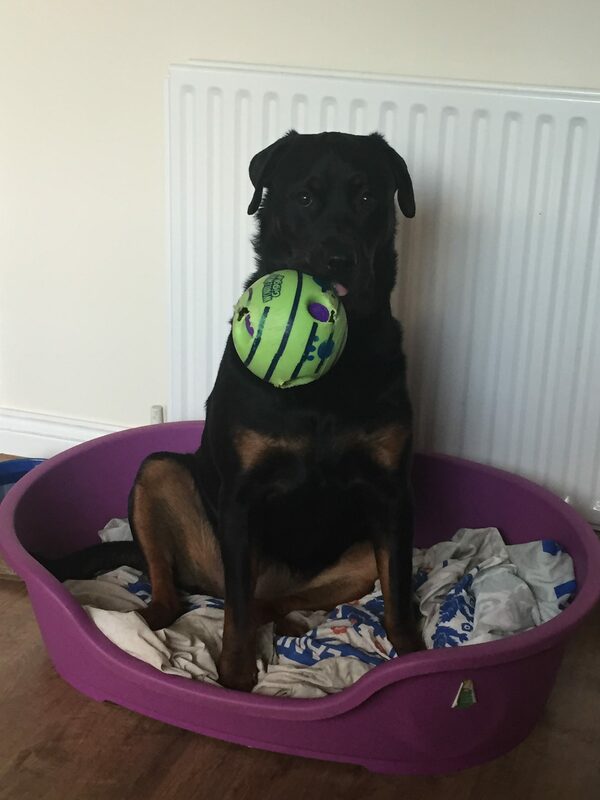 Dogs are very intelligent creatures and a routine helps them feel secure, happier and safer as they’ll know what to expect such as when it’s time for them to be fed, walked, played with, bathed and even popped into their basket at bedtime. Older dogs can suffer terribly with arthritis and other bone problems, so it’s important your pet is lying properly when sleeping. Memory foam pet loungers are upholstered in a durable, stain resistant fabric and even contain nano-technology to reduce odors as well as being easily cleaned thanks to machine washable covers. A cooling memory foam core helps to keep your dog from overheating at the same time as being a comfy, cozy and soft place for your dog to relax. These orthopaedic dog beds encourage your pet to stretch out into a healthier sleeping position instead of curling up, squashing their legs and affecting their spines. It’s critical that your pet is getting all the vitamins, minerals and nutrients that they need and their diet has a huge role in the overall health of your dog. Look for dog food brands that put a dog’s health at the forefront of their values, feed treats only occasionally and make sure that your dog has dental sticks to chew on. Dogs should not be overweight as it can put a strain on their joints and heart as well as affect their ability to run, play and even breathe properly. If you’re at all concerned about your dog’s weight, then do book an appointment with your vet. Dogs need to be regularly stimulated otherwise they get bored quickly which, in turn, leads to bad behavior such as a chewing furniture, whining or being aggressive. 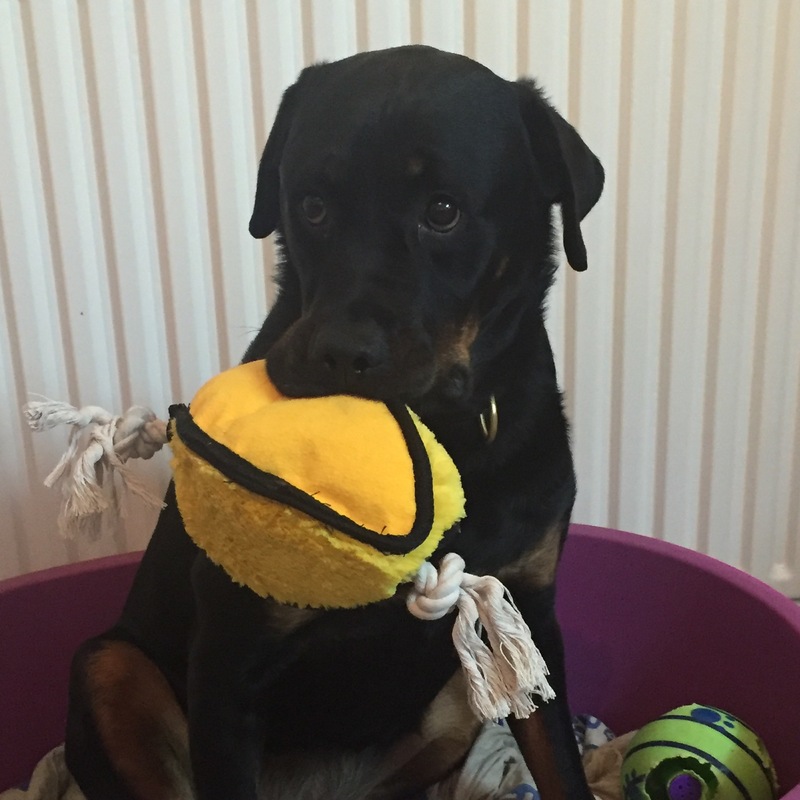 Plan a range of activities, have a good collection of dog toys and games and make sure your dog is treated like a proper family member. Dogs love nothing more than catching tennis balls, retrieving sticks and running around outside so make sure you have plenty of time where they can be off the leash safely. Just like humans, as dog’s age, they become more prone to illnesses and certain conditions. Genetics, nutrition, and environmental factors all play a role in how fast your dog ages. So it’s not ‘one size fits all’ care when it comes to senior dogs. Here are a few signs and symptoms to watch out for with your older dog, to keep their tail wagging right through the winter of their life. Arthritis in older dogs is common, however, it can still be a difficult condition to manage. Inflammation and degeneration of the joints can make walking and standing painful, and cause dogs to slow down. They might start to struggle with things like jumping up or climbing the stairs. Because animals are programed to hide their outward pain, the signs may be difficult to recognize especially at first. Keep an eye out for weight gain (as a result of reduced mobility) sleeping more or changes in the way they move such as jumping up to greet you. Thankfully supplements are effective in managing arthritis in older dogs and can keep pain down and improve their mobility. Cod liver oil is safe to give to dogs, or you could try something like a daily yunnan baiyao capsule. This can slow the onset of the disease and provide relief from painful swollen joints. No dog’s breath is going to smell like roses; that’s a given. But there’s a difference between regular doggy breath and something indicating that there’s a problem. Plaque and tartar can build up over a dog’s life, but it’s also due to their weaker immune systems why older dogs suffer more with this. Keep an eye on the way your dog eats, make sure they’re not refusing food or favoring one side of their mouth. Tooth issues can present pain in animals just like it can with us so carefully monitor your senior dog to make sure they’re not in any unnecessary pain. You can keep your dog’s teeth healthy by regular brushing- even once a week can make a dramatic difference. Dog’s don’t tend to like this much, starting them while they’re young is ideal but if not try to keep the experience as stress-free as possible. You could give them dental chews to enjoy, and also feed them dry instead of wet food. This is better for tooth health. Are you killing your dog with kindness? As much as they might enjoy those table scraps, extra treats and everything else they can get their paws on, it’s important to moderate what your dog eats. Classic symptoms include excessive thirst and urination, and losing weight despite the fact they’re eating the same amount. Basically the same kind of symptoms you’d see in humans with type two diabetes. It’s dangerous since it can lead to blindness, liver disease, kidney disease and a whole host of other adverse side effects that could lead to an untimely death. Have your dog weighed to ensure they’re at their correct weight. If not, ask your vet for feeding advice. Treats should be fully moderated, and you should make sure they’re not able to scavenge in bins or snag treats from other family members. You can make your own healthy dog treats that are low in fat and provide lots of useful vitamins and minerals for your pooch. There are loads of recipes and ideas online. I’m sure you love your pets just as much as I love mine. But when things are going wrong, it’s easy to blame them for things that aren’t really their fault. We end up shouting at the poor confused animal when they often have no idea what they’ve done wrong. That’s bad enough, but sometimes they aren’t even to blame! Let me show you exactly what I mean. I constantly blame my pets for this, particularly when they seem to be causing allergies for my nieces and nephews. But you don’t have to blame your pets for allergies in the home. There are plenty of ways to avoid the problem completely. First, you should be hoovering and polishing at least once a week to make sure that dust and muck doesn’t build up. This will always make your allergies worse and guess what, the pets aren’t to blame. You might also want to consider purchasing some anti allergy pillows. These are really useful if you find your allergies are worse in the morning. It means you’re allergic to dust mites and has nothing to do with your furry friend. Although, if you do have a pet and you think you might be allergic you can get tablets. You don’t have to say goodbye and find him a new home. This is one of the ways that pets are quite similar to children. Particularly domestic pets like cats and dogs. If you think that your cat or dog is behaving badly, it isn’t their fault, it’s yours. There’s no such thing as bad pets, only bad owners. If you want them to behave better, you need to train them better. It’s as simple as that! The good news is that the old saying an old dog can’t learn new tricks isn’t true. They can and will. You just have to be willing to put the time in. It’s never too late to teach your pet to behave. If your animal is relieving himself inside, this could be another issue with training. However, you might be surprised to learn that as they get older animals will naturally want to do their business outside. If they complete their business inside it’s because they are desperate. You’ve left it too long, and you need to be taking them out more regularly. So next time your dog leaves a package on your bed, smack yourself on the nose with a newspaper instead. If we see bugs and beasties in our home, it’s natural to think the animal brought them in. But the truth is that they probably didn’t. Instead, those little bugs are attracted to your home because you’re not keeping it clean enough. Or, because you’ve got an environmental problem like mold. Nine times out of ten it’s nothing to do with the pet. It’s about how well you’re maintaining the home. I hope you see now that these problems aren’t the fault of the pet at all. The only one you can blame is yourself. But there’s no time like the present to fix these issues and give your pet a hug instead of a scolding. It can be hard to try and find different toys for our dog to play with that won’t get destroyed easily, but she doesn’t destroy many which is good. Her favourite toy at the moment is a reindeer from christmas that we got her from pet at home, but is safe to say has seen better day. 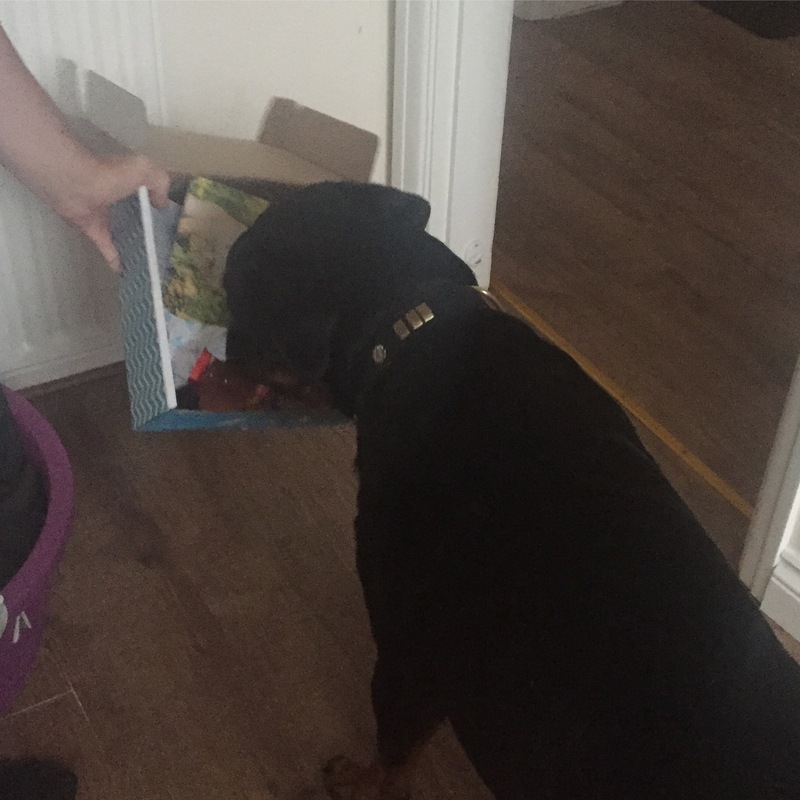 When pawsomebox got in contact and sent us a box of goodies for Carly she couldn’t wait to see what was inside and get her teeth into it. 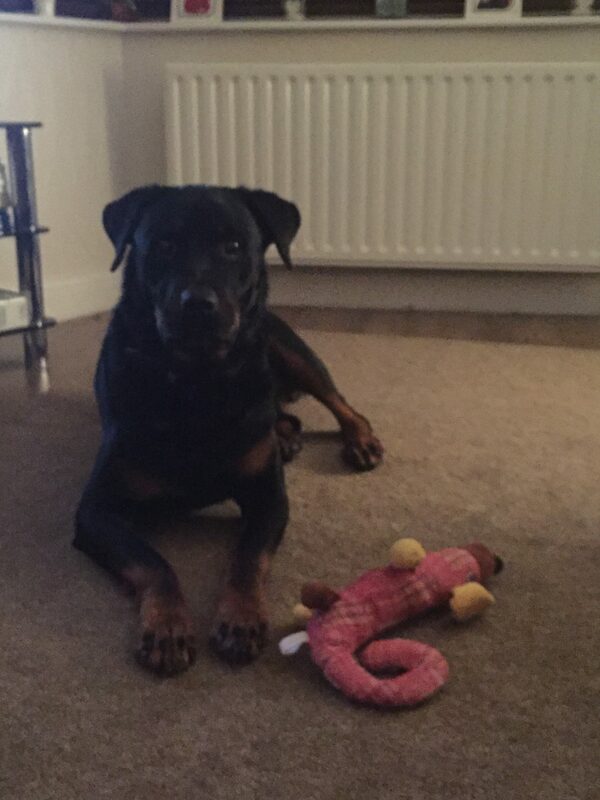 Carly’s favourite toy is the pink squeaky dog toy, she takes it everywhere with her, even brings it to bed. 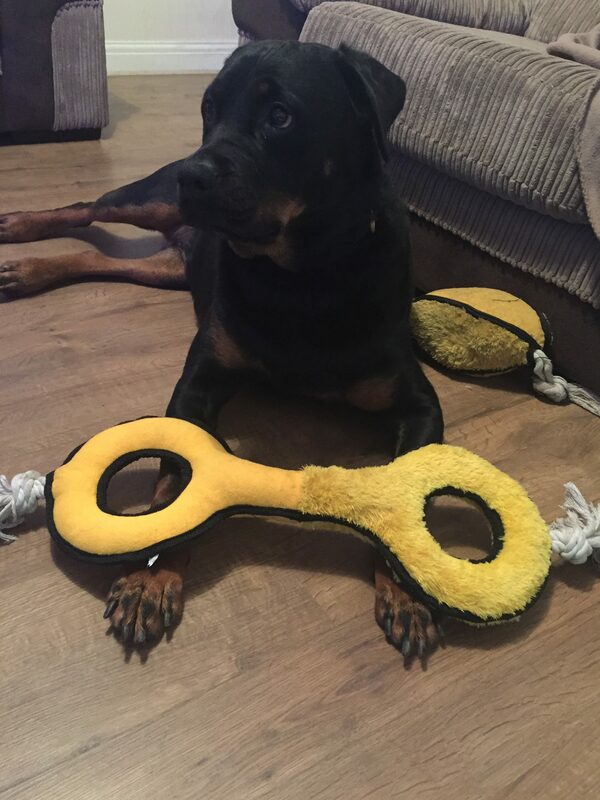 She does the cutest thing too, after she has played with it and we’ve thrown it round, she will just lie there and lick it for ages as if to make it feel better for hurting it. Carly loves the treats aswell. 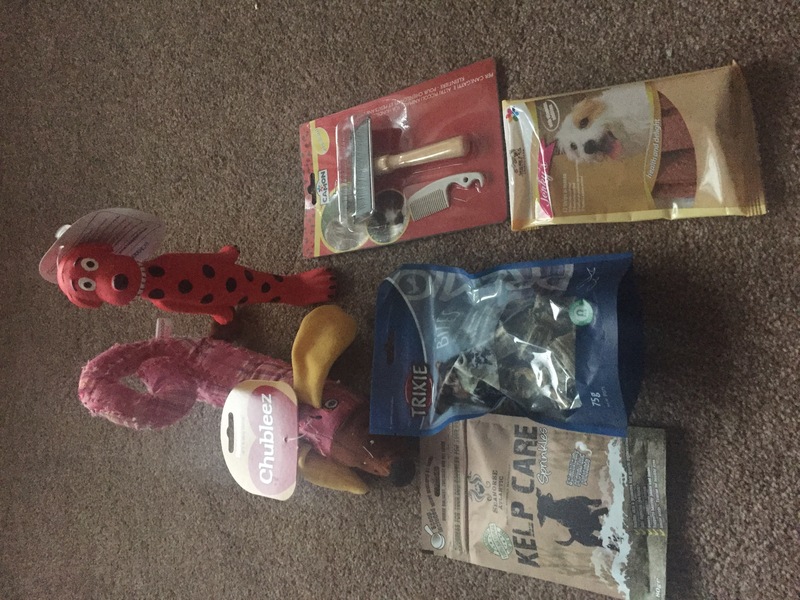 We would definitely buy this subscription box again as each month you get lots of different toys and treats etc… and is great for your dog. 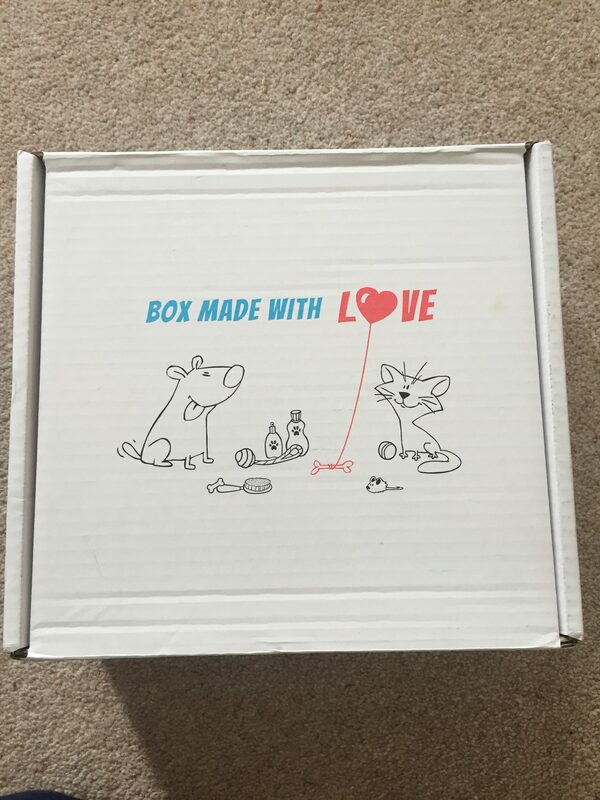 * We were sent this box free of charge for the purpose of this review, however all thoughts and opinions are my own. Enough about us for now it’s our dog Carly’s turn to have a bit of the spotlight. 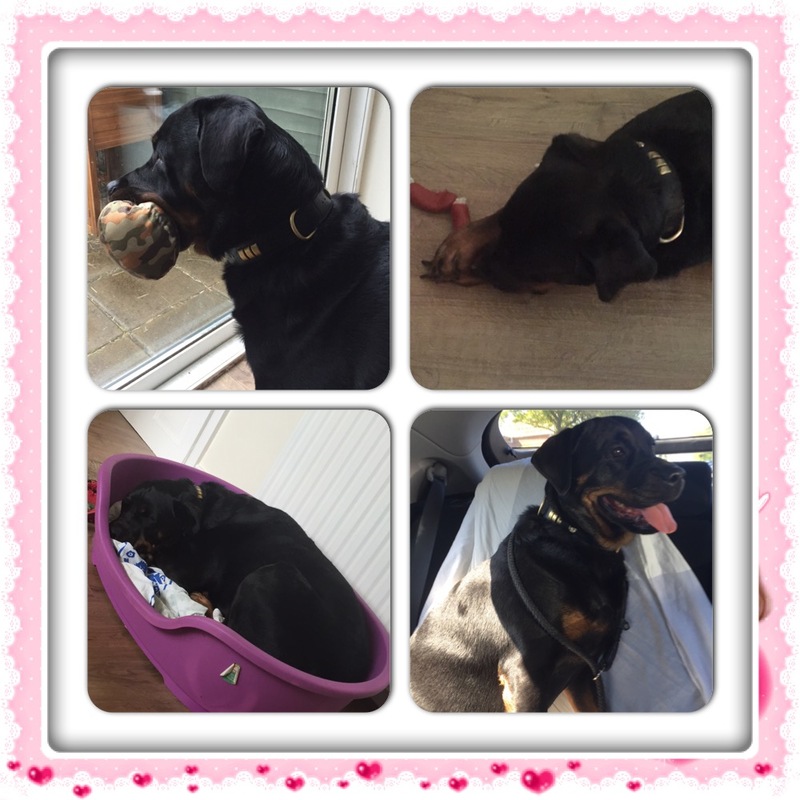 She is one very spoilt dog! 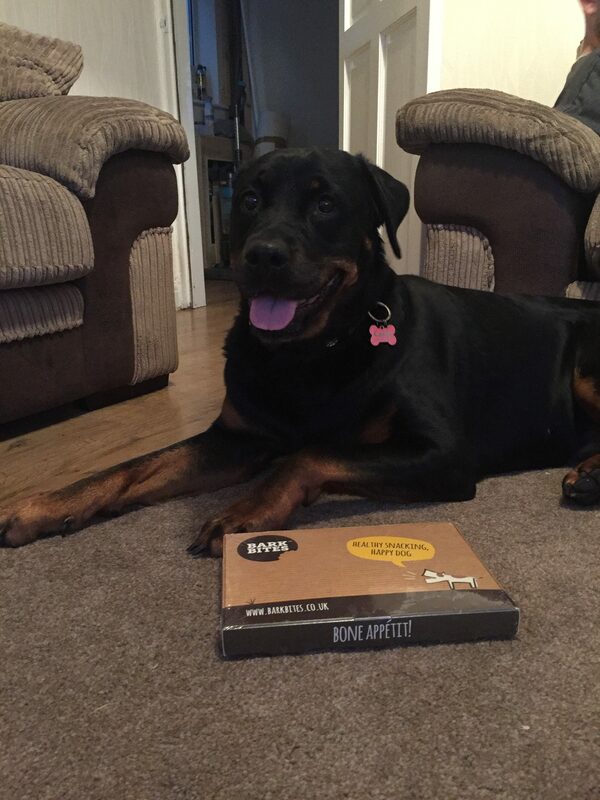 When bark bites got in contact and offered us one of their tasty treat subscriptions box to review, Carly went barking mad. Carly was very excited to receive her treats as you can see. 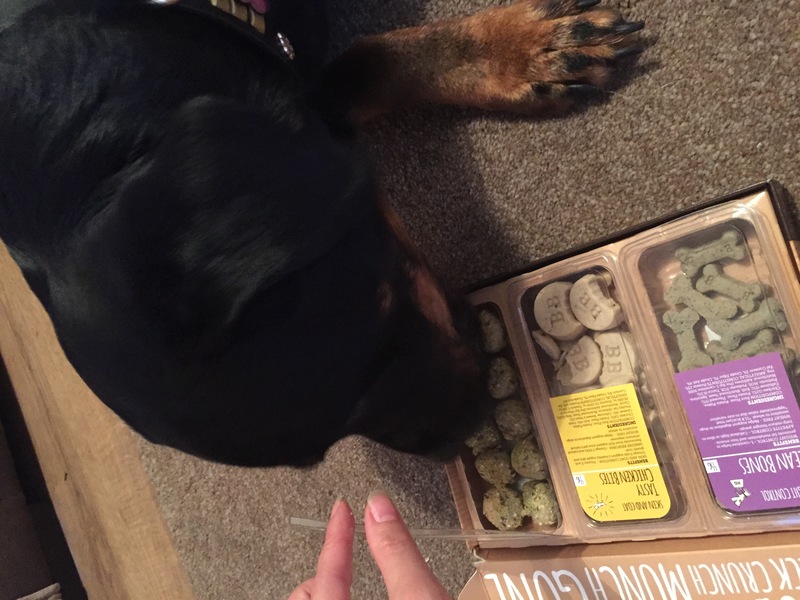 Bark bite treats are great because they fit straight through your letter box,so you don’t have to worry about been in the house. 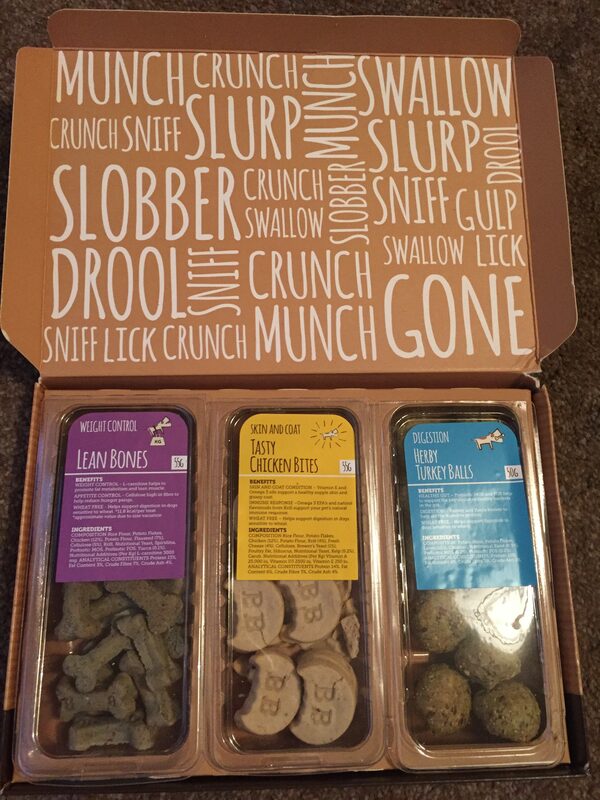 You can choose from over 48 different hand baked treat to suit your dog from here your dog will be spoilt for choice. I didn’t know what treats we were going to receive either, but you can handpick your own too. There are different treats for different aspects of the dog, eg. 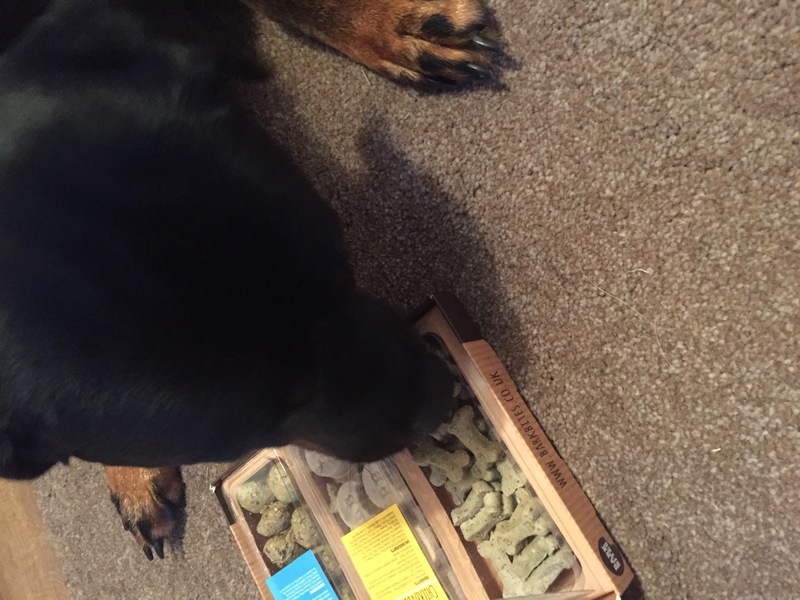 Coat & Skin, digestion etc and you can pick the treats that best suit your dogs needs. This is what we received in our subscription box. 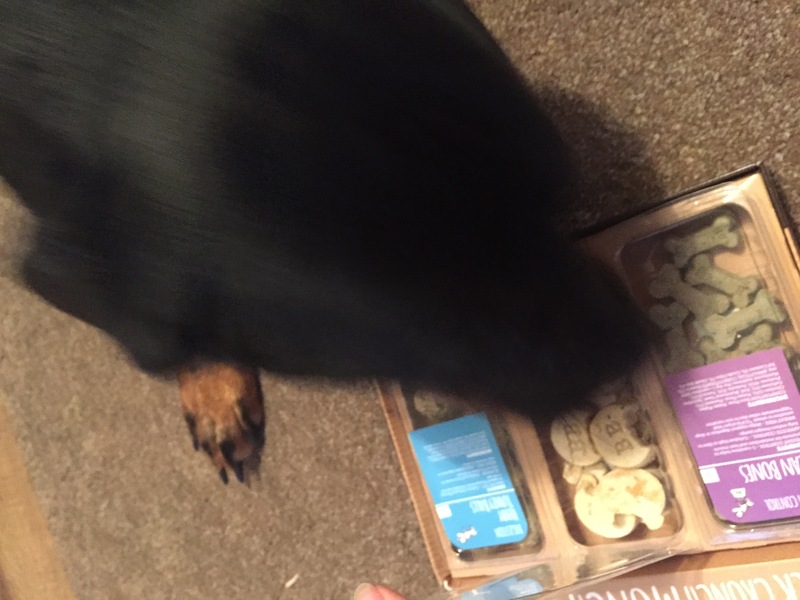 Well as you can see Carly was a big fan of the treats she was sent, and would have possibly polished them off all in one go if we had let her. Look at the smile on her face, one happy puppy dog. I think these prices are good, for what you get, and I will certainly buying more for Carly in the future. 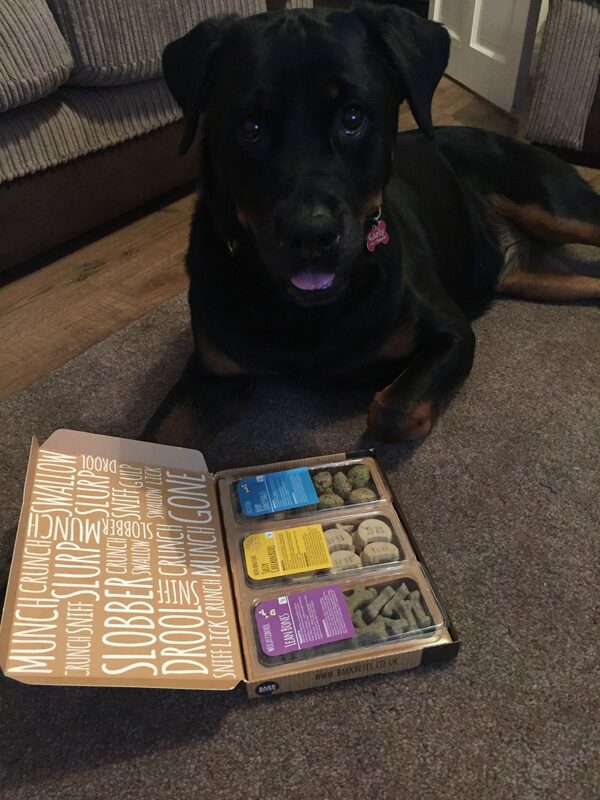 * We were sent this box of treats for the purpose of a review, however all thoughts,pictures and opinions are my own.